What happens when bikes behave like cars? The French Government hasn’t yet seen enough of the bikers. 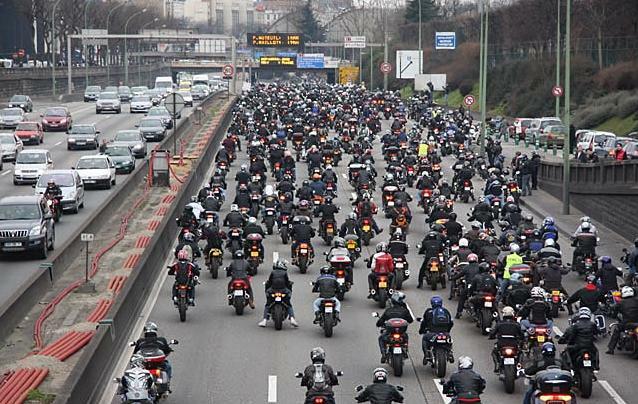 With more than 40,000 bikers blocking the roads all over France on 13th March 2010 in protest at Government proposals to ban traffic filtering (lane splitting) for motorcyclists, we have today heard that the same bikers are going to do this again, but slightly differently this time. The “Fédération Française des Motards en Colère” (FFMC) – French Federation of Angry Bikers – will be organising regional demonstrations all over France, on different dates, designed to make the authorities realise that, if motorcycles are treated like cars, they will behave and congest like cars. The Government wants motorcyclists to ride their Powered Two Wheelers (PTWs) like they would drive cars, by staying in lane, behind each other and banning them from overtaking four wheel vehicles in heavy traffic, so the bikers will once again demonstrate to the authorities the absurdity of their proposals by each occupying the space of one car, leaving plenty of space between each vehicle and thus causing enormous traffic jams and massive congestion behind them. The FFMC is a body that operates all over France with regional offices everywhere. Each office will organise its own demonstration, the next one being in the Loire-Atlantique area, in the city of Nantes. The bikers will take over the ring road and cause massive disruption next Saturday 8th May 2010. It’s best to avoid the Nantes area next Saturday if you’re planning a trip there by car or coach, unless you’re willing to spend your Saturday afternoon stuck in traffic for hours. It’s not just in France where bikers are angry. Their British cousins, on the other side of the Channel, are also very angry at a parking tax imposed on them in Central London, by Westminster City Council. Bikers, whether French or British, are obviously not happy with being treated like car drivers, whether it has to do with parking or traffic filtering (lane splitting). The authorities seem to believe that they are above the public, by ignoring their electors completely and imposing their own stupid and money-grabbing rules. 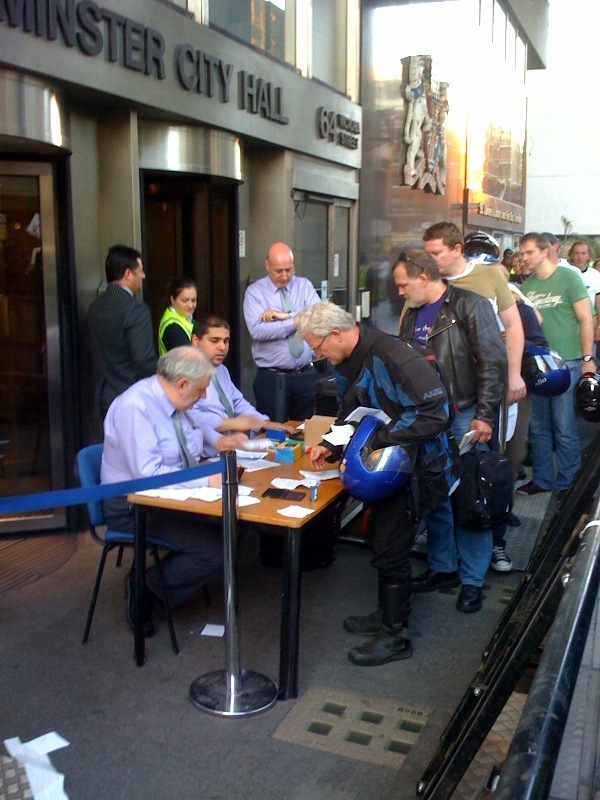 3,000+ objections lodged twice in a row with Westminster City Council and thousands of motorcyclists protesting in the streets against the bike parking tax are not enough to make the authority listen and re-consider their decision. But when it comes to causing disruption to the daily schedule of thousands, if not millions, of commuters, damaging the council’s reputation and putting the re-election of certain candidates at risk, then they suddenly wake up and take action. So what’s the receipe to piss off and humiliate an authority? Just follow the law to the letter, and by doing so, cause massive disruption everywhere in a way that the authority can’t do anything against you. 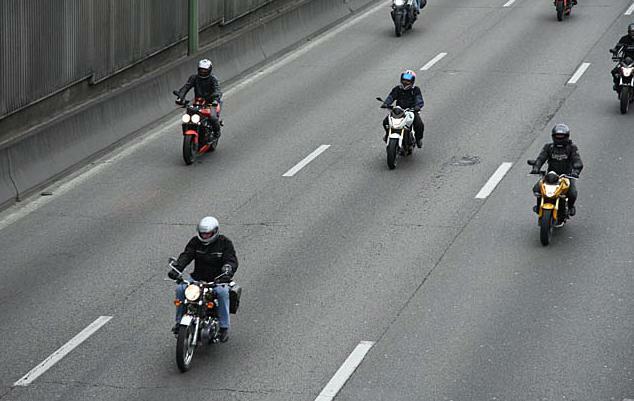 Hundreds, if not thousands, of bikers have the right to ride on a ring road all together, stay in lane behind each other, with each occupying the space of one car and leaving plenty of space in between them, so that cars stay behind, which inevitably causes traffic chaos. What can the authorities say? Absolutely nothing at all, it’s perfectly legal. You’re making your voice heard totally legally and disrupting the authorities as much as they disrupt you with their stupid and money-grabbing policies on a daily basis. If you’re in the United Kingdom (or visiting the country), why not come and join, or at least watch, what the bikers do every Wednesday during rush hour in Central London to protest at Westminster City Council’s motorcycle parking tax. They just legally ride their motorcycle like they would drive a car and inevitably cause massive gridlock in Central London. 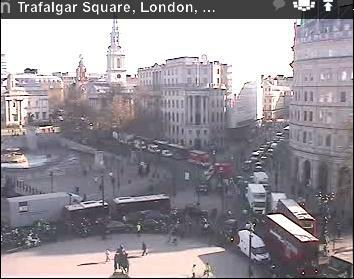 So far, no one has been arrested and Westminster City Council have yet to comment. That tells you a lot, doesn’t it. It’s all very legal and massively disrupting! Westminster City Council can’t stop the bikers from doing this but what they can do is scrap the tax to make the bikers go away. Keep an eye on the M25 (the London orbital in the UK), it may well soon be one of the bikers’ next targets, unless of course Westminster City Council scrap their bike parking tax by then. WHEN BIKES ARE TREATED LIKE CARS, THEY WILL BEHAVE LIKE CARS! Thanks for this information. I am in France 23rd to 30th May with a tour group and we will give a hand to any protests that we chance upon. Please keep this vein open, so that we know if it actually becomes law. You guys ROCK! I wish we had this kind of spirit in America. Mention the idea that motorcyclists could actually manage the risks of riding around cars all by themselves without the government protecting us from ourselves with yet another prohibition, and the most badass of American bikers turn into scared damsels in distress. It’s disgusting, people here actually seem to WANT to be stuck with the same limitations as cars!